We are so excited to be able to bring you The Backyard. A unique concept in bar and dining with a home and neighbourly feel. Cool, lively, fun and funky – there’s no better way to enjoy the long warm days and nights, than by taking your spot on the deck or down under an umbrella in the beer garden with uninterrupted views of the marina encapsulating everything that is North Queensland – laid back, funky, fun and distinctively colourful. If you’ve grown up in any Cairns’ backyard or if you’ve been to Rusty’s Local fruit and vegetable market, then you know “The Coconut Man”. Well, our unique signature cocktail, Coconut & Kaffir Caipirinha is served in a young coconut supplied by our local Coconut Man and the Kaffir Lime comes straight from our own garden. Our signature cocktail sets the tone for the entire beverage menu – local flavours that take you right down memory lane. Unique cocktails are a part of our signature style here. Our expert mixologists craft brilliant drinks, sourcing them from fresh produce and using exotic, rare, exciting spirits to invent cocktails that even seasoned aficionados will be surprised by. Our kitchen crew have created dishes designed to showcase small plates, sharing menus and street food. Eating in The Backyard is all about sharing moments with friends; engagement and conversations; mateship. Our signature selections are engrained as part of our DNA. The Backyard Bagel Bar operates from 6am until 3pm. 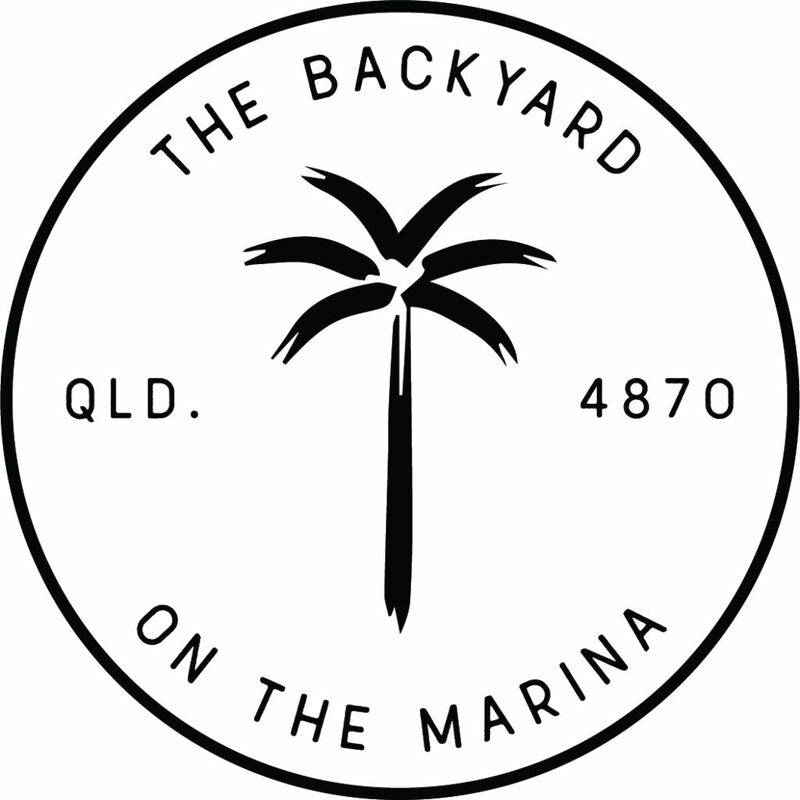 Breakfast in The Backyard is available from 6am until 10.30m with the bar and all day dining from 11.00am. Reservations are not required.